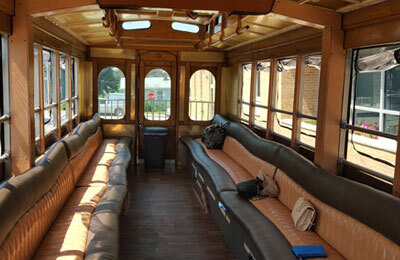 The 24 Passenger Trolley Bus for rental in Chicago is perfect for your next special occasion. With enough space to comfortably allow up to 24 a very enjoyable experience, you’ll arrive at your destination ready to go! Let us show you how it feels to be a VIP! Once you fillout the reservation form, one of our agents will respond to your reservation immediately. Chicago area only. For suburbs rates and quotes please call 312-771-7273. 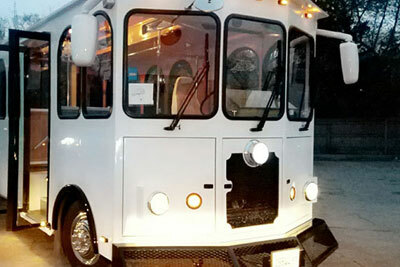 Get ready to experience a fantastic adventure in Chicago aboard this beautiful, 24 Passenger Trolley Bus. It’s simply awe-inspiring when you step inside. the state of the art surround sound, and everything in between, you’re sure to enjoy this ride! There’s even a lavatory on-board this premium trolley bus in Chicago! The fiber optic ceiling and strobe lights leave no doubt as to the party inside! 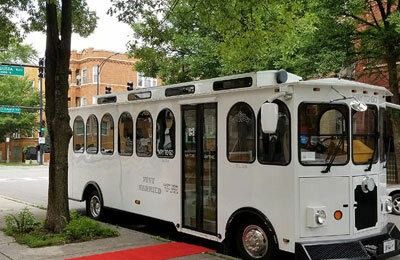 No matter what the event, such as a bachelor or bachelorette party, a prom, or just a night out on the town in Chicago, this 24 Passenger Trolley Bus is waiting. Let our professional chauffeurs get your safely from one destination to the next and in complete style and luxury. Give us a call today at 312-771-7273 for a complimentary quote. Isn’t it time you were the VIP? This article was posted in . Bookmark the permalink. We’re standing by to assist you. 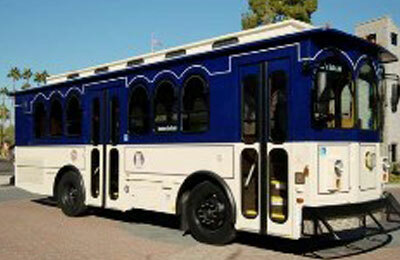 We’re your premiere Trolley Rental service! 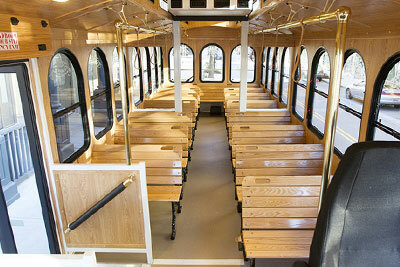 Choose Trolley Rates Chicago’s trolley rental service in Chicago today. Our professionals are waiting to book your next exciting night out on the town in beautiful Chicago, Illinois. By clicking this button and booking a reservation with us, you agree to our cancellation policy. 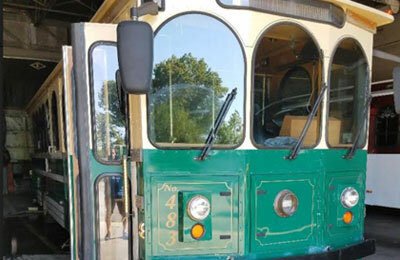 How Does Our Chicago Based Trolley Rental Work? The Trolley Rates Chicago’s Trolley Rental Service is fast and simple. Just make a reservation with us and we’ll get back to you as soon as possible with great deals on premium trolleys in Chicago! 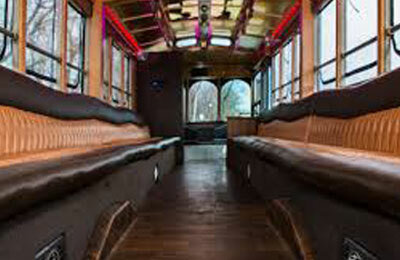 Our luxurious Chicago based trolleys can perfectly compliment your special event. Enjoy all that a professional transportation service in Chicago has to offer, whether it’s for a wedding, prom, bachelorette party, or any other special occasion. Trolley Rates Chicago is a premiere trolley rental company in Chicago! Choose Trolley Rates Chicago’s trolley rental service! Our services cover any event you’re planning. 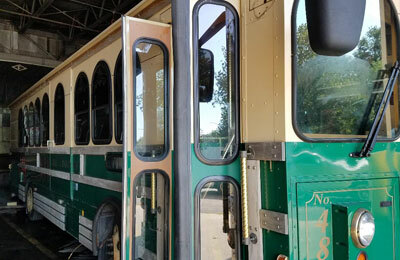 We’ve got different options of trolley bus rental services in Chicago, including an 18 passenger trolley, a 24 passenger trolley, a 33 passenger, and our selection of coaches and charter buses.